Believe it or not, this is the 25th anniversary of the 1991 Halloween Blizzard. 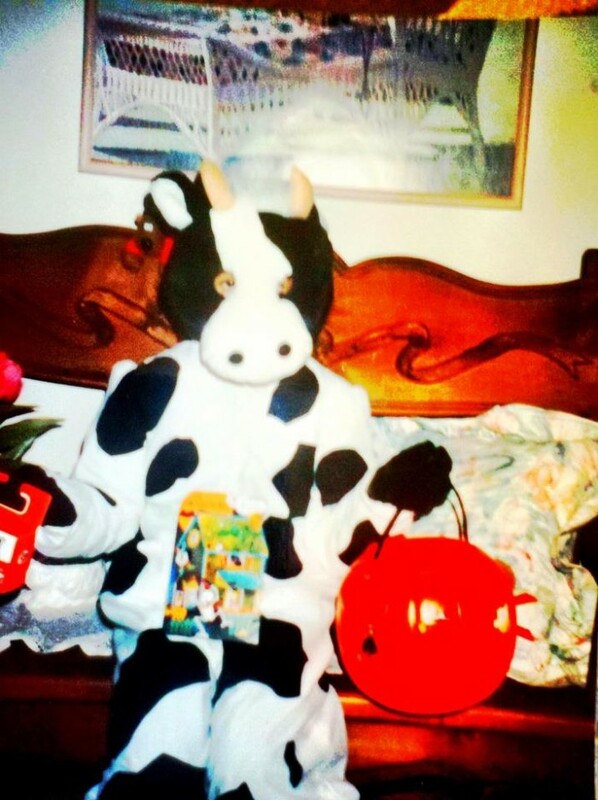 I was 9 that year and dressed up as a cow. It was an incredible storm and vividly remember snow piling up on my snout as I trudged from house to house in search for goodies. "The Halloween Blizzard of 1991 still stands as a benchmark blizzard in Minnesota that other storms are compared to 25 years later." "October Blizzards in Minnesota are rare, but they have happened in the past. The most severe early blizzard on record for Minnesota was the devastating October 16, 1880 storm. This storm left behind drifts of snow to 20 feet high in the Canby area and brought train traffic to a standstill over western Minnesota until the spring thaw. This winter is vividly portrayed in Laura Ingalls Wilder's Book: The Long Winter." "The Halloween Blizzard in 1991 is one of those weather events that people can recall what they were doing as it unfolded. Folks were still celebrating the Minnesota Twins second World Series win in just four years when a cold front ushered in unseasonably cold air. 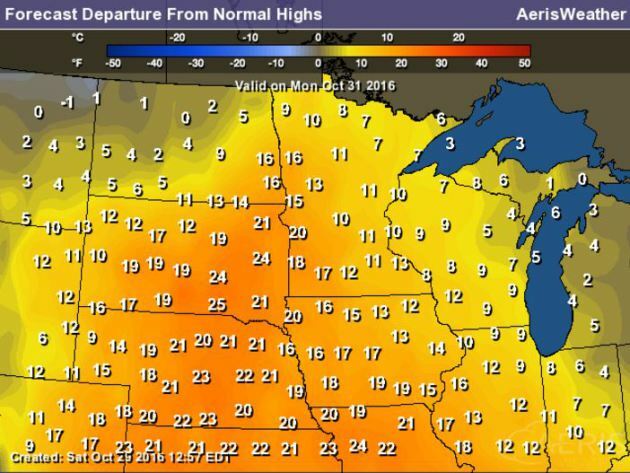 The high temperature in the Twin Cities was 65 degrees on the 29th, over ten degrees above normal. 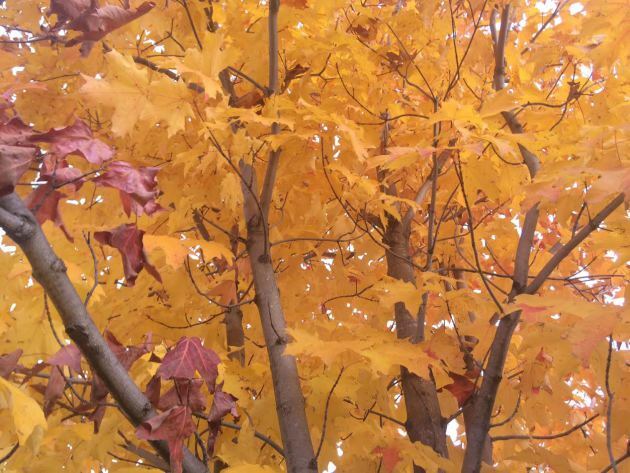 On October 30th, the high temperature in the Twin Cities only reached 32 degrees. By this time a low pressure area was developing around Galveston Texas. 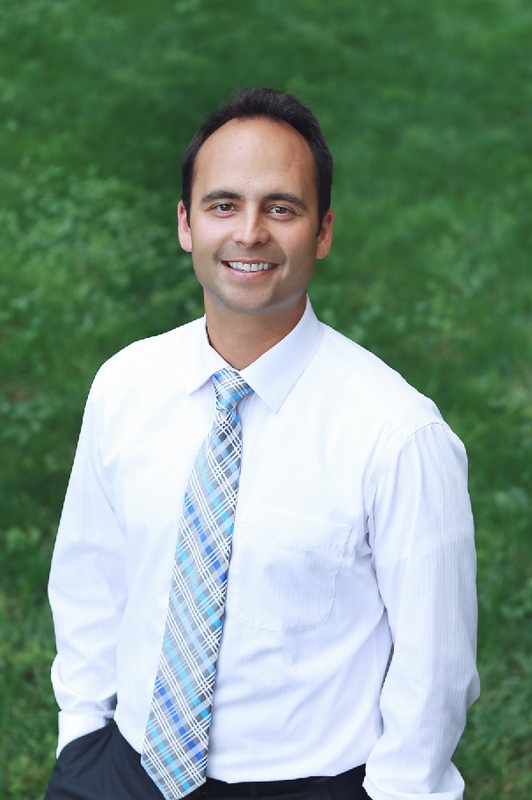 From the seasoned veterans at the National Weather Service to students studying meteorology at St. Cloud State, there was no secret that a large storm was coming. Most forecasts for October 31st for central Minnesota called for a cold rain by the afternoon. Possibly heavy. The primary question at the time was: "How much rain would fall?"" "As Halloween dawned back in 1991, some wintry weather was anticipated but no one was expecting a blizzard. The National Weather Service issued a Winter Storm Watch at 4:00 am on the 31st with a potential of a foot of snow. The first inkling that the forecast under projected snowfall totals came when precipitation started falling as snow at about 11:30am in the Twin Cities, much earlier than anticipated. With the realization that the precipitation would be snow, not rain, a Winter Storm Warning was issued during the day by the National Weather Service in the Twin Cities and forecasters realized there was a potential for a lot of snow. As the afternoon faded into evening a surreal scene unfolded with kids attempting to trick or treat wearing coats and boots and pumpkins becoming covered with a snowy blanket. 8.2 inches of snow fell by midnight on the 31st at the Twin Cities International Airport, the most for the entire month of October on record for the Twin Cities." I know we're still a few days away from Halloween, but the Minnesota State Climatology Office has some good stats regarding Halloween Climatology for the Twin Cities. "Halloween is typically a time of crunchy leaves on the ground, and a bit of chill in the air. 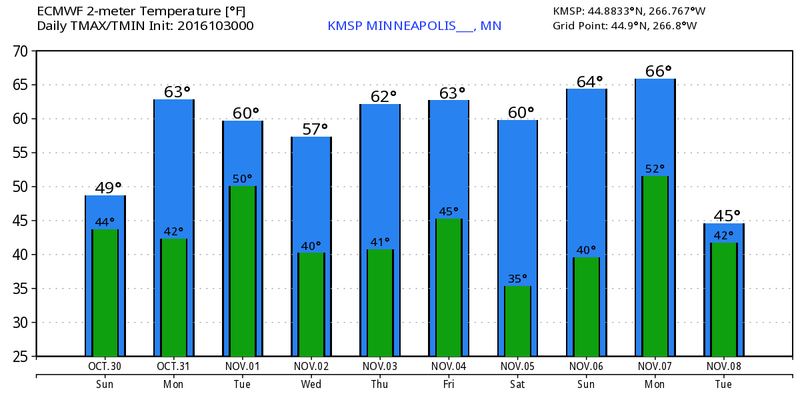 High temperatures in the Twin Cities are generally in the 40's and 50's. It is more common for the daily high on Halloween to be in the 60's than in the 30's. 70's tend to be a bit rare, with only eight Halloween high temperatures being 70 degrees or above. The warmest Halloween on record was 83 degrees in 1950, with the second coldest maximum temperature on record arriving one year later with a high of 30 in 1951. The coldest Halloween maximum temperature was a chilly 26 degrees back in 1873. The last fifteen years have had some balmy Halloween afternoons with a 71 degrees in 2000, and some quite cool ones as well with a 34 in 2002. There hasn't been a Halloween washout since 1997. Measurable precipitation has occurred on Halloween only 26% of the time in the Twin Cities, or 38 times out of 144 years. The most rain recorded was in 1979 with .78 inches. In 1991 .85 inches of precipitation fell, which was snow. In spite of the 1991 Halloween Blizzard, measurable snow on Halloween is about as rare as getting a full sized candy bar in your trick or treat bag. Since 1872 there's been enough snow to measure only six times: .6 in 1884, .2 in 1885, 1.4 in 1932, .4 in 1954, .5 in 1995 and of course 8.2 inches with the Halloween Blizzard of 1991. Thus there has been measurable snow on only 4% of the days." 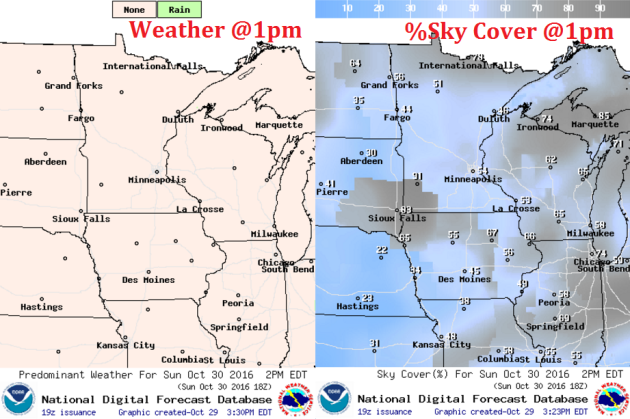 Here's a preview of the 2016 Halloween weather across the Upper Midwest. Note that another storm system will push through the region with light rain shower potential across parts of the state. With that said, we will be on the southern side of the storm, which means temperatures will be quite mild through the day, but it will be breezy. 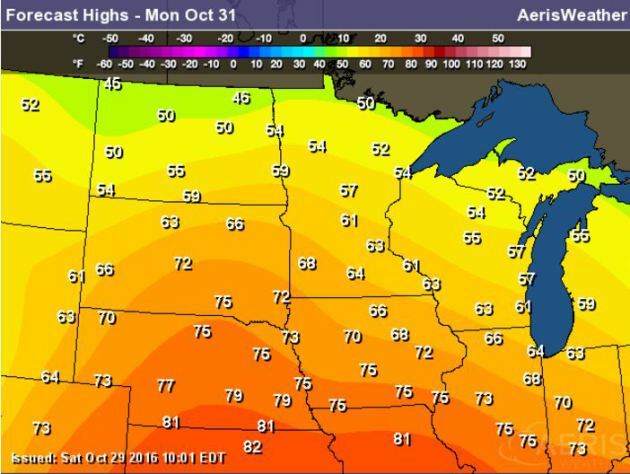 High temperatures on Halloween Monday will be very warm across much of the Upper Midwest with readings nearly 10F to 15F above average. 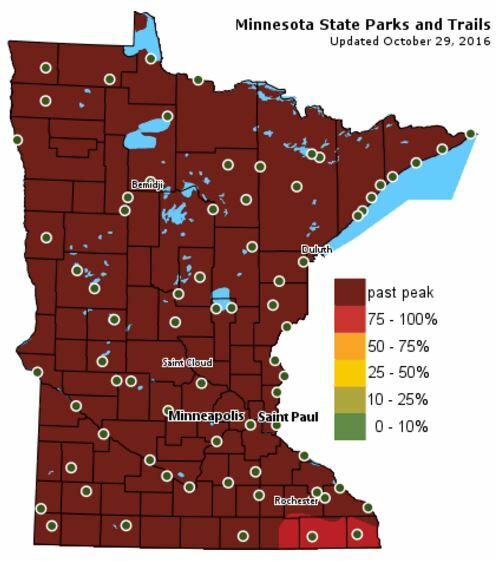 According to the MN DNR, much of the state is now past peak in the fall color department with the exception of a few spots in the extreme southeastern part of the state. ...HEAVY MOUNTAIN SNOW AND STRONG GUSTY WINDS EXPECTED SUNDAY INTO SUNDAY NIGHT... .COLD LOW PRESSURE FROM THE GULF OF ALASKA WILL MOVE THROUGH SUNDAY INTO SUNDAY NIGHT BRINGING A PERIOD OF HEAVY SNOW AND STRONG WINDS TO THE MOUNTAINS OF EASTERN SHASTA AND WESTERN PLUMAS... INCLUDING LASSEN PARK... AND THE NORTHERN SIERRA NEVADA. MOTORISTS TRAVELING THROUGH THESE AREAS SUNDAY SHOULD BE PREPARED FOR HAZARDOUS WINTER DRIVING CONDITIONS. CARRY CHAINS AND EXPECT TRAVEL DELAYS. SNOW IS EXPECTED TO DECREASE LATE SUNDAY NIGHT INTO MONDAY MORNING. * MAIN IMPACTS: SLICK ROADS AND REDUCED VISIBILITY DUE TO HEAVY SNOW AND STRONG WIND. TRAVEL DELAYS AND CHAIN CONTROLS LIKELY. * OTHER IMPACTS...WINDS GUSTING TO 60 MPH THROUGH PASSES AND OVER HIGHER TERRAIN REDUCING VISIBILITY SIGNIFICANTLY AND CAUSING DANGEROUS DRIVING CONDITIONS. * TIMING...SUNDAY INTO SUNDAY NIGHT...HEAVIEST SUNDAY AFTERNOON. * LOCATIONS...TRANS SIERRA NEVADA PASSES INCLUDING INTERSTATE 80 AND HIGHWAY 50 ABOVE 6500 FEET. * SNOW ACCUMULATIONS...6 TO 12 INCHES POSSIBLE ABOVE 6500 FEET WITH 1 TO 2 FEET OF SNOW ABOVE 7500 FEET. SNOW ACCUMULATIONS OF UP TO 3 INCHES POSSIBLE DOWN TO 5500 FEET SUNDAY EVENING. 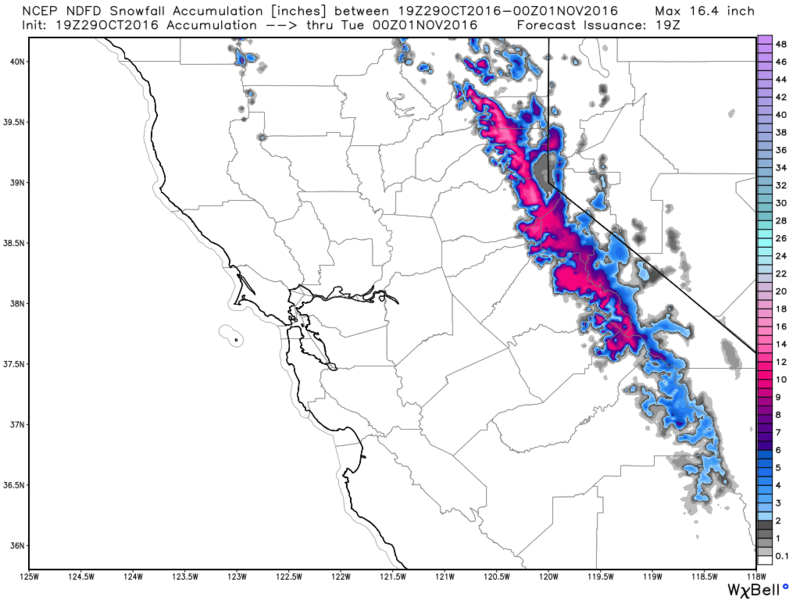 Here's the snowfall potential through PM Monday, which suggests some fairly significant amounts across the higher elevations of the Sierra Nevada Range. Some spots in the highest elevations could see 1 to 2 feet! Another surge of Pacific moisture is expected to move into the Western U.S. later this weekend with heavy rain and high elevation snow. 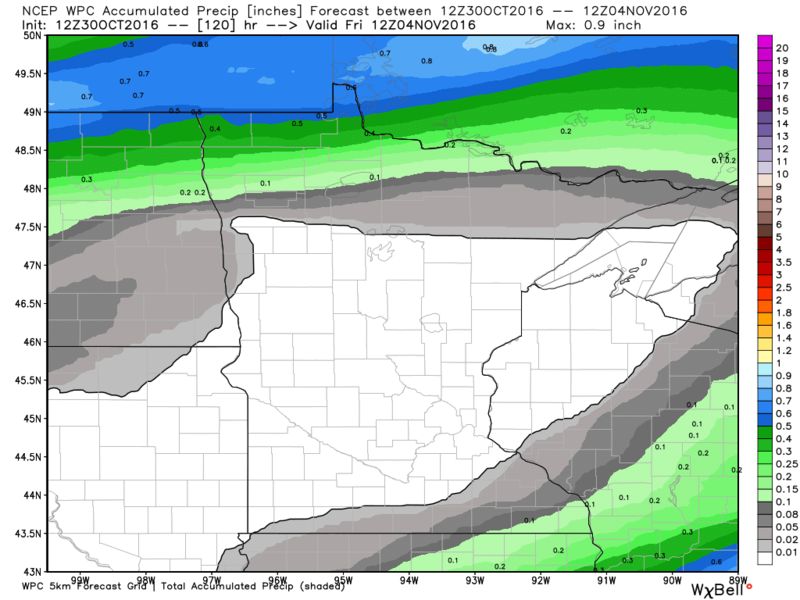 The heaviest precipitation looks to move in on Sunday and exit quickly by Monday. One week from today, we fall back 1 hour to standard time. While that means we'll have more daylight in the morning, it also means that it'll be dark when we get home from work! Note that we've lost nearly 5 and a half hours of daylight since the Summer Solstice on June 20th and we're still slated to lose another hour and a half by the Winter Solstice on December 21st. We're definitely in a downward spiral toward the colder months of winter, but the atmosphere doesn't seem to be responding. I've seen a few small swarms of waterfowl flying overhead, but the big flocks are still lurking in Canada where above average temperatures have kept lakes and ponds ice-free. November is around the corner, but it has been feeling more like early October with more mild weather on the way for the week ahead. 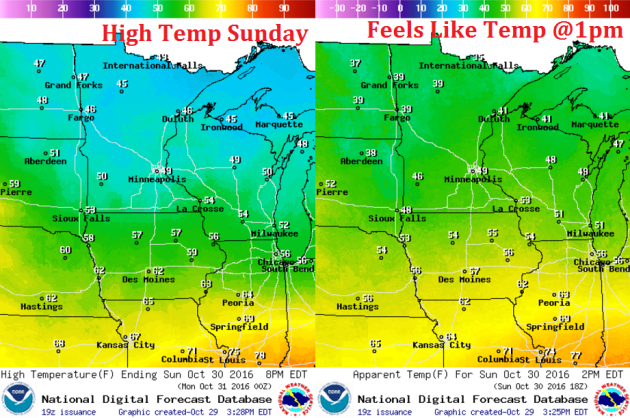 After damp Saturday, Sunday will feature drier and somewhat sunnier conditions. 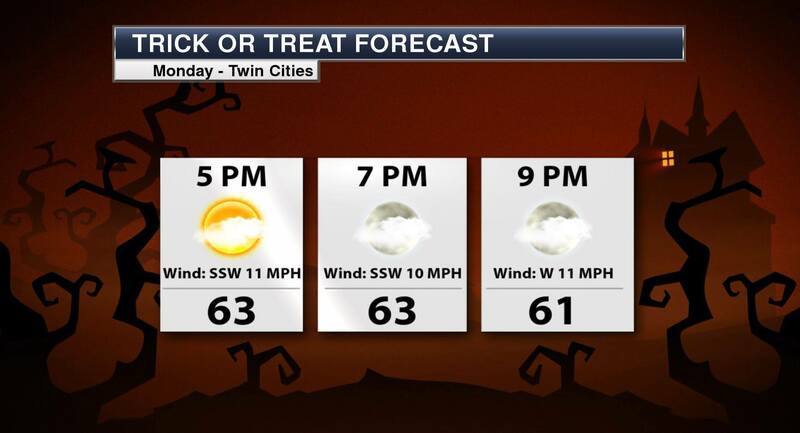 A Witch Watch has been issued for Monday, but no snow or blizzards are brewing for this year's trick or treat. 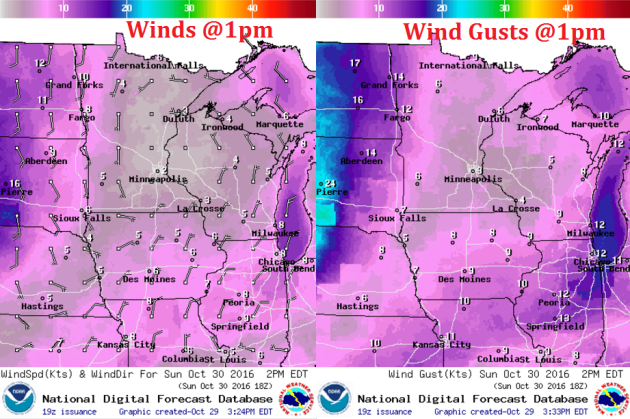 Mild winds and a few PM showers shouldn't be too spooky. SUNDAY: Damp start. More PM sun. Winds: SSE 5-10. High: 52. SUNDAY NIGHT: Mostly cloudy. Winds: SSE 5-10. Low: 44. Halloween Monday: Mild and blustery. Few showers. Winds: SSW 10-20. High: 63. TUESDAY: Sunnier and still mild. Winds: WSW 5-10. Wake-up: 48. High: 62. WEDNESDAY: Partly cloudy, rain stays south. Winds: NNW 5-10. Wake-up: 48. High: 62. THURSDAY: Bright sun. Winds: SSW 5-15. Wake-up: 44. High: 61. FRIDAY: Mostly sunny. Where's November? Winds: WNW 5. Wake-up: 44. High: 60. SATURDAY: Sunshine. More like early October. Winds: SSW 5-10. Wake-up: 42. High: 61. High temperatures on Sunday will again be at or slightly below average levels for the end of October, but we'll warm to above average levels into next week. High temps from average on Sunday will once again be a little closer to where we should be at this time of the year, but note the warmer temps building to the west. This is the warmer weather that will be with us as we head into next week. Winds on Monday will be quite light as a bubble of high pressure slides through the region. Enjoy the lighter winds while you can because they pick out significantly on the backside of this feature as we head into Monday. After a soggy Saturday, Sunday appears to be drier with even a little sunshine by the afternoon. The simulated radar from Sunday to Tuesday shows a quiet Sunday giving way to a few light showers across the region on Halloween Monday. Here's the 5 day rainfall forecast through the end of the week, which suggests that much of the state will remain dry. A storm system moving through the region on Monday could bring a band of light rain across parts of the state, but the majority will be found along the international border. Temperatures for the rest of the weekend will remain at or slightly below average, but looking at the extended temperature forecast, much of next week will be warmer than average and more like early October. Here's the national temperature outlook from November 4th - 8th, which shows warmer than average conditions across much of the nation. Active weather conditions continue across the Western U.S. with heavy rain along the coast and high elevation snow. Some of the Pacific moisture will make it into the Central US over the coming days. According to NOAA's WPC, the heaviest precipitation across the nation will be found in the Western U.S., where come 3" to 6"+ amounts can't be ruled out across parts of California. It appears that some moisture will now start to work into the Central US from the Gulf of Mexico, however amounts don't look terribly heavy. "10 Years on, Climate Economists Reflect on Stern Review"
"Climate change is ultimately a problem of dollars and cents across generations. That’s because the actions society takes today to address climate change — namely cutting carbon pollution — won’t provide immediate benefits. Instead, those benefits will be reaped in the coming years and decades and even centuries in the form of fewer people dying from heat waves, cities not being submerged by rising seas, farmers dealing with reduced risk of megadroughts. Weighing all these costs and benefits in terms that governments can create policies around and businesses can prepare for is no small task. 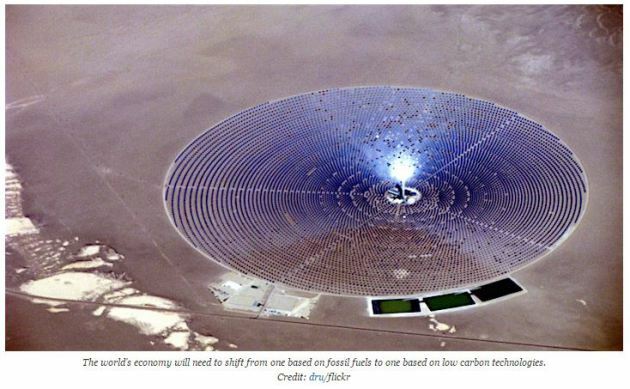 Yet 10 years ago, that’s the Stern Review, a 700-page behemoth of a report, did." 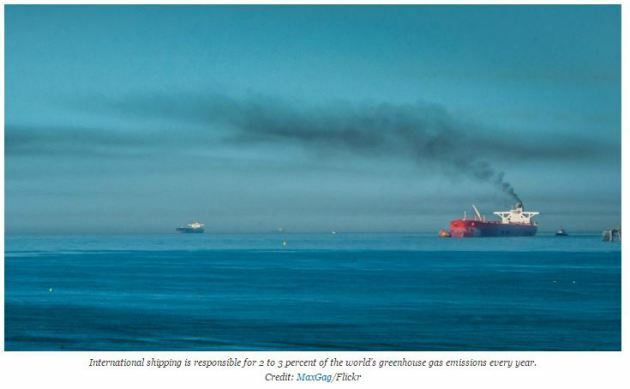 "Shipping Industry Postpones Climate Plan Until 2023"
"A firm plan for potentially easing the shipping industry’s impact on the climate will be delayed for seven years under a roadmap drafted by a United Nations agency on Friday. The lackluster outcome at the end of a week of environmental talks in London deepened the disparity between ship and plane operators and much of the rest of the world when it comes to tackling global warming. The shipping industry participated in the negotiations on behalf of some nations."